"Why did Wynne agree to an outside camera crew she couldn’t control? Perhaps hubris after a post-election honeymoon." One week after an exposé pointed out his repeated lies, Montreal journalist Francois Bugingo has admitted to fabricating news articles throughout his career, CTV reports on its web page. On Friday night Bugingo penned a Facebook post explaining his actions over the past 23 years as an attempt to "capture the interest of the Quebec public to subjects that appear to be very distant." He admitted to multiple "errors in judgment" including making up stories out of whole cloth, including tales of an execution in Misrata and pretending to be involved in a hostage negotiation mission in Egypt. He also said he plagiarized all details of an event that happened in Sarajevo. "The station had a conflict of interest when it comes to covering provincial politics. They’re covering the people who sign their paycheques." 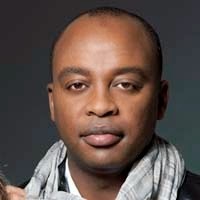 The website iMediaEthics reports that the Montreal French-language radio station 98.5 FM has suspended journalist Francois Bugingo after La Presse accused him of widespread fabrication. "Mr Bugingo is suspended for the moment," Christine Dicaire, the director of communnications for 98.5FM told iMediaEthics by e-mail. "We will try to clarify this situation in the upcoming days. We will not be making any further comments for the moment." "Executive Group Media says the allegations against one of its employees, François Bugingo, are important and taken seriously. The collaboration with Mr. Bugingo is suspended until checks are made. Management cautions that Mr. Bugingo is not an employee of the Media Group, but a collaborator." On Facebook, Bugingo wrote that he is "stunned by this attack" and defended his work as "always verified." "I will defend my integrity in times and places as well as to concerned bodies," he wrote, according to Google Translate. La Presse accused Bugingo of having "invented from scratch" stories. For example, Bugingo wrote for Journal de Montreal last year that he was in Misrata, Libya watching an execution, but "the problem is that Francois Bugingo has never set foot in Misrata," La Presse reported. "Nor has he toasted with Serbian snipers in Sarajevo in 1993. He has not negotiated the release of a journalist hostage to terrorists of Al Qaeda in Mauritania in September 2011," La Presse went on. "He was not a representative of the European Commission to the Egyptian Minister of the Interior in Cairo in February 2011. He was not in Mogadishu, Somalia, on 4 August 2011." According to CBC, Bugingo has contributed to a number of media outlets, including La Presse, TVA, Le Devoir, Journal de Montréal, Télé-Québec and Radio-Canada. Former Maclean's editor-in-chief Kevin Doyle has died at age 72, The Canadian Press reports. Doyle's family says he died early on the morning of May 12 with his daughter at his side. Doyle began his career as a reporter with the Windsor Star, worked as a parliamentary and foreign correspondent with The Canadian Press, then as managing editor at Maclean's. After becoming the founding editor of the FP News Service in Ottawa, Doyle then spent two years as an editor with Newsweek before returning to Toronto as Maclean's editor-in-chief from 1982-93. After Maclean's, he brought Bloomberg Business News to Canada — serving as its Canadian bureau chief and editor — before moving on to spend three years as the editor at the C.D. Howe Institute. Doyle retired as the executive director of public affairs at the University of Windsor. "TVOntario has scrapped plans to air a hard-hitting documentary on Premier Kathleen Wynne after the film’s director quit over journalistic concerns, the Star has learned. "The broadcaster, which is owned by the provincial government, had planned to show Premier: The Unscripted Kathleen Wynne on June 6, but pulled the plug after director Roxana Spicer’s resignation. "Sources said Spicer stepped down from the project after a tense May 1 meeting with senior Wynne advisers at Queen’s Park where 14 minutes of footage was to be screened, but only eight minutes was actually viewed. "That was part of an agreement between the film’s production company and the premier’s office to ensure no commercially sensitive cabinet discussions were depicted or anyone’s personal privacy violated." "The Leader’s Tour worked for the parties and for the press. The Leader had a guaranteed senior press corps with him always and the media — generously fed and watered day and night — never worried that a missed plane meant a missed story." A new programming agreement at three local TV stations in Eastern Ontario will leave viewers in the area who watch over-the-air television without access to CBC programming, The Canadian Press reports. Longtime CBC affiliates CKWS-TV in Kingston, Channel 12 in Oshawa and CHEX-TV in Peterborough will each begin carrying an array of CTV shows beginning Aug. 31. The move bumps CBC programming, including "Dragons' Den" and "Rick Mercer Report," off the schedule in favour of CTV's "The Amazing Race Canada" and "MasterChef Canada." All three local stations are owned by Corus Entertainment which struck the new pact with CTV's owner Bell Media. The change means that some viewers in the affected communities will not have access to CBC programs if they use an antenna to pick up over-the-air signals. Postmedia Network Canada Corp. is aiming to complete its integration with Sun Media in six to nine months, the company’s chief executive Paul Godfrey said Tuesday, a day after the Sun takeover was completed. Godfrey was hosting a town hall for Sun Media employees following the closing of a $316 million deal to acquire 173 Sun Media publications. The acquisition creates the largest digital news and newspaper organization in the country. Godfrey told the Financial Post on Tuesday that steps to integrate the two organizations— including moving Toronto Sun employees into Postmedia’s Toronto headquarters — are advancing quickly, although they are in the early stages. "Was anyone really surprised when the Conservatives announced this week that Prime Minister Stephen Harper would not be taking part in the traditional TV leaders’ debates during this year’s election? In any number of ways — well, five ways at least — we should have seen this coming." Global News has shaken up its Toronto newscasts following the resignation of Leslie Roberts who quit when it was discovered that he owned a piece of a PR company. Veteran politics reporter Alan Carter and former CP24 anchor Farah Nasser will co-anchors Global News at 5:30 and 6 (formerly known as The News Hour), the television station announced Thursday. The first Instant Articles have begun to appear on Facebook — letting users view a version of the story inside their news feeds. Instant Articles are a new initiative by Facebook that allows publishers to host their content directly on the social network. The feature is designed to make the experience of reading more simple for users, and will give money back to publishers by allowing them to place their own ads or sharing revenues with Facebook. The first New York Times article was called “A Life in Motion, Stopped Cold”, and features a range of moving images and videos that take advantage of the tools that Facebook has brought in to help with the feature. The story starts with John Cain, who the Star's Vinay Menon writes, was living in northern Kentucky in 2004. "In nearby Florence, a 20-year-old woman named Jena Chisholm was missing. For days, images of her beautiful face flashed across local TV screens as the town feared the worst. But on Jan. 3, a happy ending: Chisholm was found alive inside the Cosmopolitan hotel in Las Vegas. "A few months earlier, Cain had quit his job in the precast concrete industry to pursue his true love: making absurdist comedic videos. The disappearance of Chisholm turned on a mental light bulb, one that would lead to the dark 'F--- her right in the p----!' meme. That vulgar phrase is now used by those who troll and video-bomb TV reporters in the field. "It’s become a Pavlovian ritual: enthusiasts shout it whenever they see a TV camera or live microphone. This happened repeatedly on Sunday during the Toronto FC home opener. "Then came a national debate after CityNews reporter Shauna Hunt confronted a group of men who were at the soccer match and planning to use the phrase." A Hydro One employee has been fired after “F–k her right in the p—y” (FHRITP) was yelled at a television reporter outside of the Toronto FC home opener over the weekend. “Respect for all people is engrained in the code and our values. We are committed to a work environment where discrimination or harassment of any type is met with zero tolerance,” Daffyd Roderick, a spokesperson for Hydro One said in a statement. The employee has been identified as Shawn Simoes, a Hydro One employee who made the Sunshine List in 2014 with a salary of just over $106,000. CityNews reporter Shauna Hunt confronted several young men who hurled vulgarities at her while covering a Toronto FC soccer game on Sunday. The crude trend, which started in the United States, involves people bombarding live reporters and yelling “f**k her right in the p***y” into their microphones. Hunt patiently endured several instances of the degrading phrase before confronting some of the perpetrators. “Can I ask why you would want to do say something like that?” she asked one man. “I feel like it’s quite substantial,” he responds. Later she noticed several other men lurking behind her and asked if they were waiting to bombard her as well. They admitted that they were. The federal Conservative Party says it won’t participate in the traditional leaders’ debates run by a consortium of broadcasters including CBC, CTV and Global and will instead take part in up to five independently staged debates in the run-up to the fall federal election, the Globe's Stephen Chase reports. The decision by the Harper Conservatives appears to deal a serious if not fatal blow to the near-monopoly that broadcasters such as CBC have had in determining how federal political leaders square off before national ballots. Conservative campaign spokesman Kory Teneycke said the Tories have accepted invitations to participate in two rival debates – one organized by Maclean’s magazine and its owner Rogers, and the other by French-language broadcaster TVA. The Conservative decision puts pressure on other federal political parties to follow suit in abandoning the consortium-run debates which have almost always controlled these events. The New Democrats said they have also accepted TVA’s and Maclean’s debate invites, as well as one put forward by an initiative on women’s equality called Up for Debate. An NDP spokesperson said New Democrats are still mulling over the proposal from the traditional broadcast consortium and have yet to make a decision. The rejection of the broadcast consortium as the sponsor and manager of political debates – a role they’ve played for decades – doesn’t prevent outlets such as CBC or CTV from bringing their television cameras to the new independently run debates and broadcasting these events. Two of the seven sexual assault charges against former CBC Radio host Jian Ghomeshi were dropped at a Toronto court this morning, the CBC reports. The Crown withdrew the two charges after determining there wasn't a reasonable prospect of conviction based on the evidence. The Crown said the charges weren't dropped because of an issue of witness credibility. Ghomeshi, 47, now faces six charges stemming from interactions with four women. His court case, which involves three women, will proceed to a judge-only trial in February 2016. One sexual assault case, however, is set to be tried separately in June 2016. Reuters reports that Verizon Communications Inc said on Tuesday it will buy AOL Inc for $4.4 billion, turning the biggest U.S. wireless carrier into a leading provider of content and video for the web and mobile phones. The $50-per-share offer represents a premium of 17.4 percent to AOL's Monday close. AOL and its properties, including the Huffington Post, TechCrunch and Engadget websites, would become a Verizon subsidiary, with AOL Chief Executive Officer Tim Armstrong staying in his role. Armstrong, who has been trying to build up AOL's expertise in mobile advertising technology, sees mobile representing 80 percent of media consumption in coming years. Control over the federal party leaders’ debates, currently held by a handful of broadcasters, is being challenged by proposals from rival media companies – and Canada’s three major parties are open to these offers. Televised election debates, where party leaders get a chance to square off in an unscripted manner, have traditionally been arranged by a consortium of major broadcasters including CTV, CBC and Global. Undercover police officers who pose as journalists for investigative purposes are violating the Constitution by having a chilling effect on freedom of the press, an Ontario court heard Monday. The practice can also make it harder to win the trust of important sources and therefore get key information that is in the public interest, they say. “This is very destructive of everything our clients do,” media lawyer Philip Tunley told the court. “This chill is a real and substantial one.” The media organizations — the CBC, Canadian Journalists for Free Expression, and RTDNA Canada — want the court to declare impersonation of journalists by Ontario Provincial Police a charter violation that can’t be justified. CFRA News anchor Lauren Davis has died unexpectedly at the age of 24. No information was immediately available about Lauren’s cause of death. Lauren Davis was the daughter of popular Toronto radio host Erin Davis, a morning show host at CHFI in Toronto. Erin and her co-host Mike Cooper and the CHFI team were in Jamaica for a special broadcast of CHFI. The broadcast from Jamaica has been cancelled and the team has returned to Toronto. Mohamed Fahmy, the Egyptian-Canadian journalist on trial in Cairo, has filed a lawsuit against employer Al Jazeera in Canadian court accusing the network of negligence and is demanding $100 million in compensation, his lawyer said on Monday. Toronto Star journalist Barbara Turnbull has died, the newspaper reported Sunday evening. Turnbull had been writing and reporting for the Star since 1990, where she had been a longtime member of the Life section at the time of her death. The Star said Turnbull died of "complications related to pneumonia" on Sunday afternoon. She was 50 years old. As a teenager, Turnbull was paralyzed from the neck down in a high-profile 1983 shooting that occurred at a convenience store she was working at in Mississauga, Ont. It’s been less than a year — eight months, if you’re only counting the actual NHL season — since Rogers Communications Inc. took over Hockey Night in Canada from CBC, but that’s all the time in the world Rogers needed to take one of the country’s greatest pasttimes and shatter the reputation it had held for over 50 brilliant years. And maybe it didn’t even take this long for the program to be slaughtered. Maybe the handcuffs were clamped on to the wrists of faithful Canadian hockey fans months ago, before the season ever started and before Rogers was actually able to go on air. Decisions made as the franchise switched over to Rogers were seemingly what affected the well-being, popularity and previous admiration so many people had for Hockey Night before. Because, as Rogers senior vice president of NHL production Gord Cutler explains, they knew they wanted to distance themselves from the program Hockey Night once was. Postmedia Network Inc. has teamed up with SiriusXM Canada to launch National Post Radio. Matt Gurney, a columnist and editor at the National Post, will host the radio show, which will feature a combination of topical commentary, debate and round-table discussion with Postmedia journalists and guests from across the country. It will be broadcast on the satellite network’s Canada Talks channel on weekday mornings. Gurney said the idea for the show evolved after SiriusXM approached the National Post with a desire for more news-driven talk content. Rogers Media Inc. is cutting approximately 100 positions from its conventional TV operations, and eliminating all newscasts on its multicultural OMNI stations, as it grapples with spiralling losses at its City and OMNI broadcasters, the Globe and Mail reports. Staff across the country are receiving pink slips Thursday, with the brunt of the cuts coming at the troubled OMNI operations and stations in the West. The multilingual stations currently air newscasts in Cantonese, Mandarin, Punjabi, and Italian. They have faced increasing pressure from newscasts originating abroad. The Rogers Media unit of Toronto-based Rogers Communications Inc. lost $85.8-million before interest and taxes in its conventional TV operations last year, according to documents filed with the Canadian Radio-television and Telecommunications Commission. That was more than half of the $138-million in total losses suffered by Canada’s privately owned conventional TV stations last year, up sharply from $2-million in losses in 2013. The prosecution of suspended senator Mike Duffy stumbled Wednesday when a New Brunswick-based dog-breeder denied she met the senator and his wife at a Peterborough dog show — the subject of a contested travel claim. And another Crown witness, Conservative media personality Ezra Levant behaved like a hostile witness as he was questioned about speeches Levant wrote for Duffy. In its fifth week of hearings, the trial is now exploring a series of contentious travel claims that Duffy submitted to the senate for reimbursement, several of which police say were for inappropriate personal or partisan purposes. "Writing on deadline, (Kevin) Donovan and I clashed frequently: I described our sources as 'credible'; he vetoed that phrasing, saying that it suggested The Star was taking their side. Instead, he described Ghomeshi’s accusers as 'educated and employed'; readers were rightly appalled. They asked if that meant we wouldn’t have believed the women if they had been uneducated and jobless. Donovan brushed off the angry letters, comments and tweets." The issue seems to be Kevin Donovan's decision to publish a book about the case. Brown's story describes their uneasy relationship. The Prime Minister’s Office now admits that security rules were breached after it posted two videos that showed the faces of military personnel serving overseas — including members of Joint Task Force 2, a secretive special operations force — potentially putting them at risk, the Star reports. The Canadian Armed Forces imposed restrictions on revealing the identity of its personnel after two soldiers were killed in Canada in targeted attacks last October. The two videos, produced by the prime minister’s own staff for his promotional video channel 24 Seven, were taken off line Tuesday morning. The Prime Minister’s Office admitted hours later that the videos should never have been made public. “After a second review, it became apparent that two of the videos should not have been posted,” said Rob Nicol, the prime minister’s director of communications. Allied Properties REIT has signed a deal to lease a portion of the building that houses CBC’s head office in Toronto and plans to spend US$30-million to upgrade the property before renting the space to other clients, the Financial Post reports. The real estate trust said Friday the 49-year agreement includes 168,000 square feet at the Canadian Broadcast Centre. It’s at 250 Front St. W. in downtown Toronto, near the Rogers Centre sports stadium and landmark CN Tower. Allied said the space will be marketed to telecommunications and technology clients due to its proximity to the trust’s property at 151 Front St. West, where a key Internet hub for North America is located.